THE BACKLOG of applications for college grants at the new national body set up to process them means some students will not receive their grants until January 2013, the Minister for Education has said. 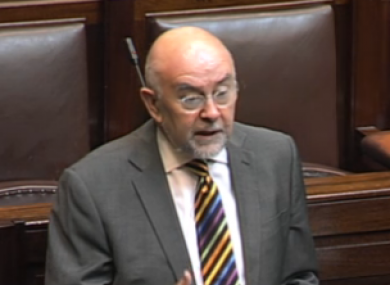 Ruairí Quinn told the Dáil that Student Universal Support Ireland (SUSI) had a backlog of 21,000 grant applications to work through, and hoped to clear the backlog by the end of the year. “The reason for their certainty – and I repeat the word, their certainty – that they will meet it [the Christmas target] is because they have increased their staffing quite considerably”. The body is currently processing approximately 2,000 applications per week, but Quinn said the influx of new temporary staff would ensure that the applications are all processed by the end of December. Quinn said 50 temporary staff had been drafted in this week to help with the backlog, in addition to the ten who had joined last week. However, he said, the sustained closure of banks over the Christmas period – and the possibility that some successful applicants might not have submitted their bank details – means that some students who qualify for grants could be waiting until January to receive them. SUSI hopes to approve a total of 35,000 grant applications by the end of the year, but has about 60 per cent of that figure still to process. Last week SUSI chief executive Jacinta Stewart said over 65,000 applications had been received by the service, significantly more than had been originally expected. This is the first year of SUSI’s existence; the body is a subsidiary of the City of Dublin VEC and has been nominated as the sole body to which all national grant applications for first-year students should be submitted, under the terms of the Student Support Act 2011. Previously grant applications were processed by a student’s own county council or VEC. This remains the case for students who are not in their first year of college. Email “SUSI backlog means some student grants delayed until 2013 - Quinn”. Feedback on “SUSI backlog means some student grants delayed until 2013 - Quinn”.